Care for your people. Love your people. To many, this may sound a little too touchy-feely for their taste, but it’s an essential tenet of being an effective leader. Personnel under your charge have to know you care about them and know you’re all-in for them. If they don’t know that or believe it, they won’t be all-in for you or the organization. They have to know you’ll be there for them – not only when times are good, but also in the face of adversity. If you don’t care about your people then you aren’t a leader; you’re just a manager and would be better served working in Corporate America – certainly not in the U.S. Military. It’s about putting the well-being of your subordinates ahead of your own, and certainly ahead of chasing meaningless metrics – a phenomenon happening all too often. Let them know who you are and what you hold most dear. Let them have the opportunity to care for you in return. Always remember, they aren’t there to be your subordinates; you’re there to be their Leader. 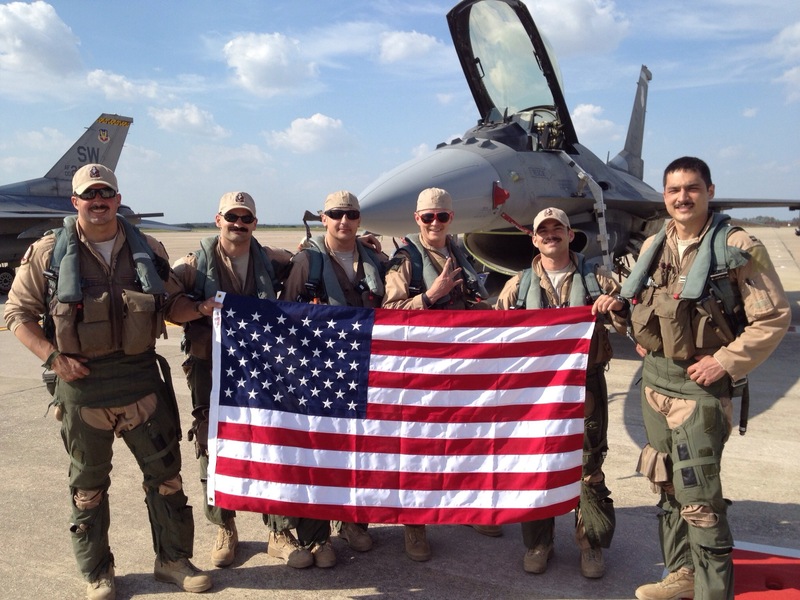 “Gamblers” pose in front of a Block 50 F-16CJ upon completing a successful mission in support of Operation Enduring Freedom. Led by Lieutenant Colonel Johnny “Vegas” Vargas (at far left), the 77th FS flew more than 20,000 combat hours and dropped more than 1,000 munitions over a two-year period. Photo courtesy of Major Mike “Tazer” Chebino. Get buy-in from your team. Set your vision and ensure they know how their tasks fit into the big picture and how they’ll make a difference. Let them know why what they’re doing is important. Deep down, no one wants to be average, so let them know what they need to do in order to excel. Avoid dictating how to accomplish their tasks, but rather demonstrate and mentor them with the development and execution of their programs. If all they’re doing is executing your program, in the eleventh hour when the chips are down, they’re not going the extra mile because it isn’t theirs. They have no ownership in the process or the outcome. When they’re empowered and they have ownership, they’ll go the extra mile to get the job done and ensure mission success. The 187th Operations Group Commander, center, steps to fly with two other pilots during a Green Flag-West sortie in October 2012. Create an environment in which they can excel. Let them know you will demand their very best, that you’ll demand excellence. Let them know they’re a part of something special and that together, as a team, you are going to accomplish great things. Make it as fun as possible. They’ll be more productive and effective if they enjoy coming to work. Twenty years from now, you want them to think back on what a great experience it was being a part of your organization. Hold your folks accountable for their actions. Ride them hard and push them so they realize they can accomplish things previously thought impossible. 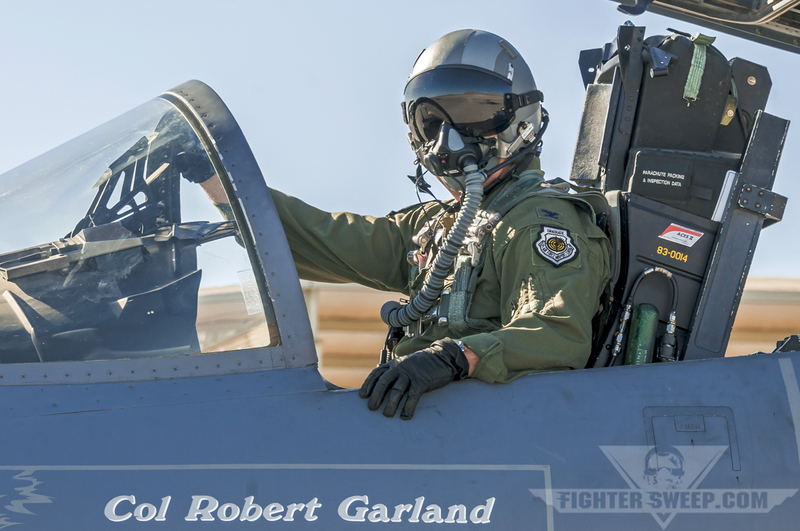 Colonel Robert “Shark” Garland, Commandant of the USAF Weapons School from 2011-2013 and a Boeing F-15C Eagle pilot, prepares to launch for a sortie in support of his institution’s Mission Employment phase. If they let the team or organization down, let them know. Don’t just throw daggers or generate paperwork for their file. Instead, illustrate where the error occurred and show how to fix it going forward. If they don’t care, get rid of them. If they do, meet them 75 percent of the way and let them know that together you’ll get your arms around whatever they’re having difficulty with. Always remember…when the team succeeds, give them all the credit. When they fail, take all the blame. You’re ultimately in charge and responsible. You’re their leader. LTC Johnny "Vegas" Vargas currently serves as the Commander of the 113th Aerospace Control Alert (ACA) Detachment, 113th Operations Group, 113th Wing, District of Columbia Air National Guard were he leads 62 personnel in the 24/7 air defense of the National Capital Region (NCR) flying the F-16C fighter aircraft. He was a 2003 graduate from the United States Air Force Weapons School and later served as the 77th Fighter Squadron Commander. He led his Airmen through 20,000 combat hours and nearly 1,000 weapons deliveries in a two year period, earning recognition as the ACC Air Superiority Squadron of the Year for 2011, the 9th Air Force Information Operations Squadron of the Year for 2011, and the South Carolina Squadron of the Year for 2012. Gaddafi’s SAMs Now In The Hands Of Daesh?